Keystone Utility Systems was recently contracted to perform the city wide AMI installation for The City of Yonkers and Mueller Systems. 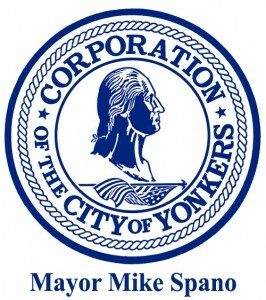 The City of Yonkers has chosen to use Mueller Systems MegaNet high powered RF network system created by KP Systems. KUS began installing 30,000 water meters starting in January 2014. We are currently underway, and if you would like to set an appointment please call the contact number below or send us an email. The AMI system upgrade involving the installation of commercial and residential meters ranging in size from 5/8″ to 8″ will allow for accurate and consistent data and billing for the City of Yonkers. The Mueller MegaNet system is a state of the art RF AMI system with great range and flexibility. The customers will also have a customer portal, provided by Mueller and The City of Yonkers, which will allow them to track their usage and manage their water consumption. To see articles about the project, follow the links below. If you would like to contact us, please don’t hesitate to call 1-877-587-2279 or email us at Info@KeystoneUtilities.com.